What Is a Blue-Tailed Fly? Blue-tailed fly is a term popularized in the Southern folk song "Jimmy Crack Corn." The insect referred to as the blue-tailed fly belongs to a group of insects more commonly known as horseflies, according to the Purdue University Extension. 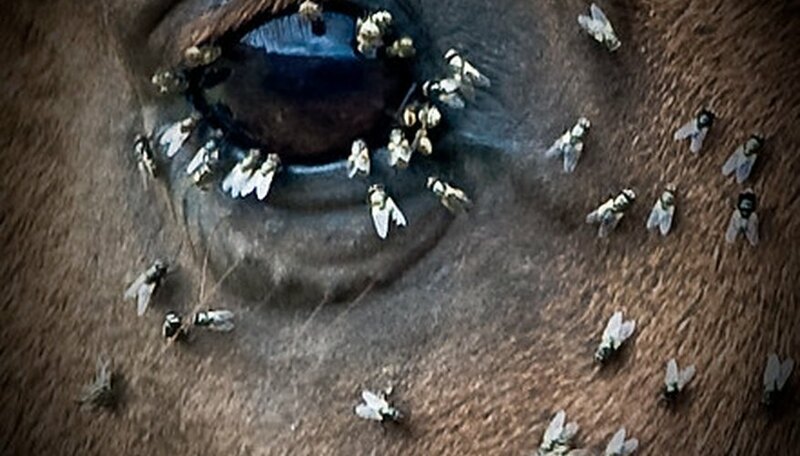 There are many different types of horsefly and its relatives, the deer fly and yellow fly. The blue-tailed fly is specifically named Tabanus atratus. All horseflies belong to the family Tabanus and all bite mammals. Blue-tailed flies are found throughout the world, often in boggy or wetland areas. Some of the only areas that do not have horseflies include Hawaii and Iceland. Horseflies bite all manner of mammals, not just horses. Female horseflies feed on the blood of mammals and bite to secure a meal. According to the University of Missouri Extension, blue-tailed flies are bluish-black with black wings and can exceed 1 inch in length. Humans have little biological or chemical control over the horsefly. Some beneficial insects (including wasps) can serve as predators, and citronella spray makes an effective repellent. Horsefly bites are irritating to humans and can sting afterward but generally are not dangerous. Texas A&M University Extension cautions that horseflies can transmit some animal diseases, such as anaplasmosis. What Flying Insects Live in Your Hair, Skin & Home? Why Does a Cobra Have a Hood? Dunn, Elton. "What Is a Blue-Tailed Fly?" Sciencing, https://sciencing.com/bluetailed-fly-5928031.html. 24 April 2017.